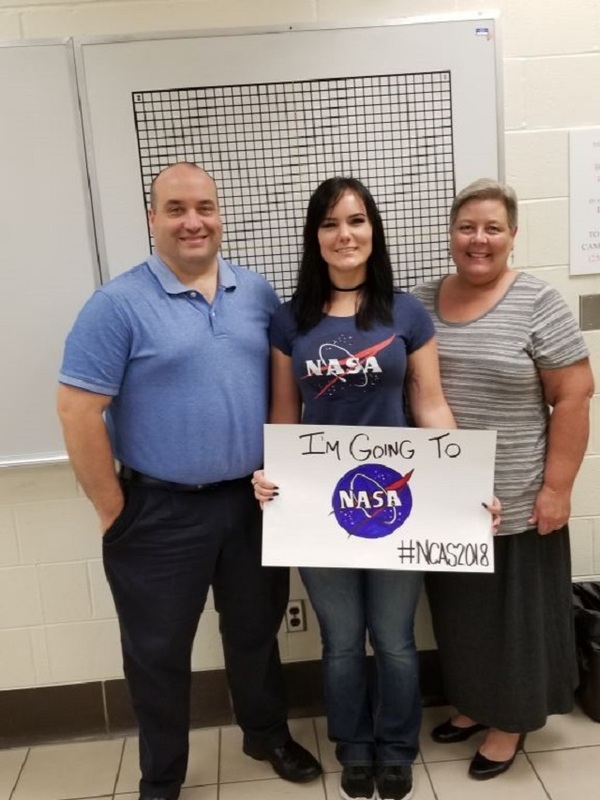 Wallace State student Amie Willoughby is participating in the NASA Community College Aerospace Scholars program’s visit to Langley Research Center in Virginia this week. Shown are Willoughby, center, and Wallace State math instructors, from left, Brandon Smith and Renee Quick. HANCEVILLE – Wallace State student Amie Willoughby is interacting with and learning from NASA astronauts this week at Langley Research Center in Virginia.